Coraggio Advisory Boards get together once a month in a very structured program to maximise members results. The whole idea is predicated on the concept of scaling up. We break this up into four key areas throughout the year: strategy, execution, people and cash. As the Chair, my role is to ensure that gets followed, that everybody contributes and that everyone is held accountable for things they have to do back in their world. As you can appreciate, a lot of people who come onto these boards, don’t necessarily have the opportunity to speak with others and bounce off different ideas. It’s then really important to take the new ideas and strategies back to their business environment – part of my role is to ensure that happens. From my perspective, a Chair is not a business coach. A Chair is there to be part of the group and contribute to the group, as well as making sure that it’s structured and goes down a certain path. It’s not just about telling people what to do. I don’t think anyone likes being told what to do. I think people like to contribute, share and learn. 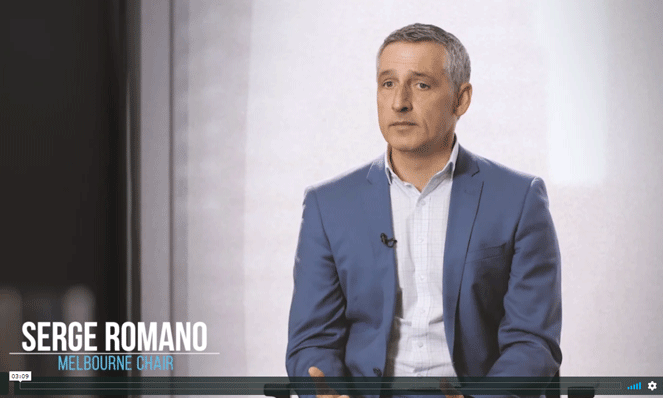 That’s one of the things I love about being a Coraggio Chair – I run my own business so I want to make sure that I’m constantly learning as well. I’m always learning from my board as much as they are learning from me. I enjoy sharing the various aspects of my 30 years in sales, sales management and franchising. I’ve run my own businesses and continue to do that. As a Chair, I can be part of the Board and pass on my learnings, thoughts and opinions in a manner designed to assist members. It’s not just about being the person who sits at the top of the table and says do this or that. It’s about making a contribution and sharing with the group. At Coraggio, Chairs are specifically chosen and hand-picked, all Chairs have to have a track record of running businesses and having been successful in their own right. This ensures that they understand, can relate and most importantly offer sound advice to members. The Coraggio Advisory Board is unique in terms of how it interacts. It’s a dynamic rather than passive environment. The essence of the Board to me is that it’s a shared environment and isn’t always just about business. It can also be about people’s personal lives and the ability and opportunity to dovetail into that environment. It’s very satisfying seeing members leave meetings with greater clarity and to see the results when they return home and implement the new ideas.